Case studies are an indispensable part of modern day academic curriculum. Virtually every university student regardless of his or her major has to deal with case studies, sample studies and simulations. Case studies allow students to better understand the material learnt in class and solve real-life or simulated problems. This guide briefly summarizes different types of case studies and presents some wise tips for writing a report based on a case study. The primary purpose of case studies is to let students apply theoretical knowledge gained in class to real-life examples. Case studies make use of real-life companies and organizations, so students in addition to learning how to solve problems also learn more about individual organizations and companies. Furthermore, case studies when assigned to a group of students helps to build teams and nourish social and communication skills in students. Usually case studies have three logically separated sections. Problem. This section carries the “punch line”. It is there to identify the problem or challenge with which the reader/students is supposed to work in the future. Implementation. This section shows the approach organization took to solve the problem. Usually this is the longest section and contains many details regarding the development of solutions, planning and their implementation. Results. This final section shows how the approach taken by the organization failed to solve the problem. At this point of time students are advised to come up with a new solution which would certainly remedy the situation at the organization described in the case study. Students need to keep in mind that although many case studies prompt them to solve all the problems that the management at that organization could not solve, they should concentrate only on some specific and most important problems. Statistics, tables, figures, data, research. Financial ratios related primarily to cost efficiency (ROI, ROA, ROE, Break-even-point, IRR). Reducing barriers. The solution to work should clearly show how the organization benefits from it. 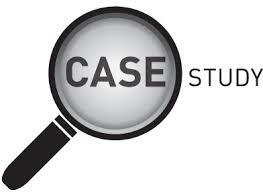 Exploratory case studies condense the case study process, so that researchers choose this type of case study before engaging in any large-scale investigation. Exploratory case studies help researchers to identify questions, to select measurement constructs and to develop novel measures as well as to safeguard investigation in large studies. This type of case study is best suitable in a time of uncertainty when one knows little about the organization, its goals, results, or history. The shortcoming of this type of case study is the premature conclusion one can make because of the shortage of data and information. Diversity might also be inadequately represented while the exploratory phase gets over-extended. 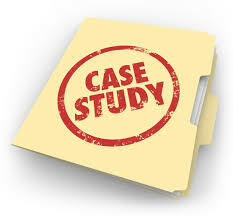 EssayPlant.com provides high quality case study research assistance to college and university students. Our professional writers are familiar with every type of case study and the overall process of case study development, arrangement, formatting, and writing. The price of writing a case study or writing a report based on existing case studies is the same as for writing other types of essays. Buy now !